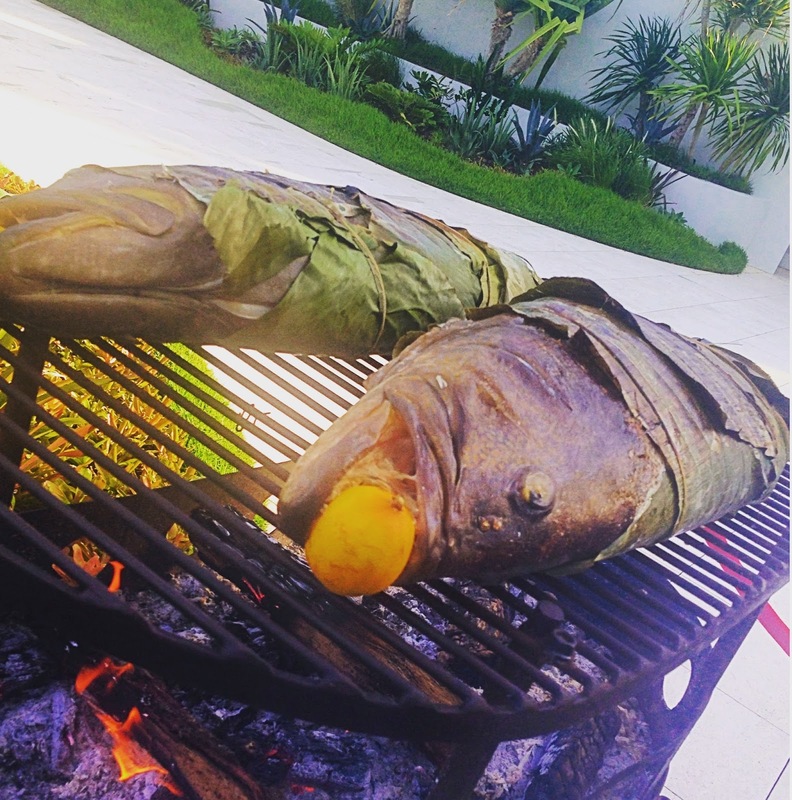 A table for fifty, outdoor flames and the watchful eye of a multi-million dollar Golden Woolly Mammoth served as the super setting for Cobaya Experiment 64. 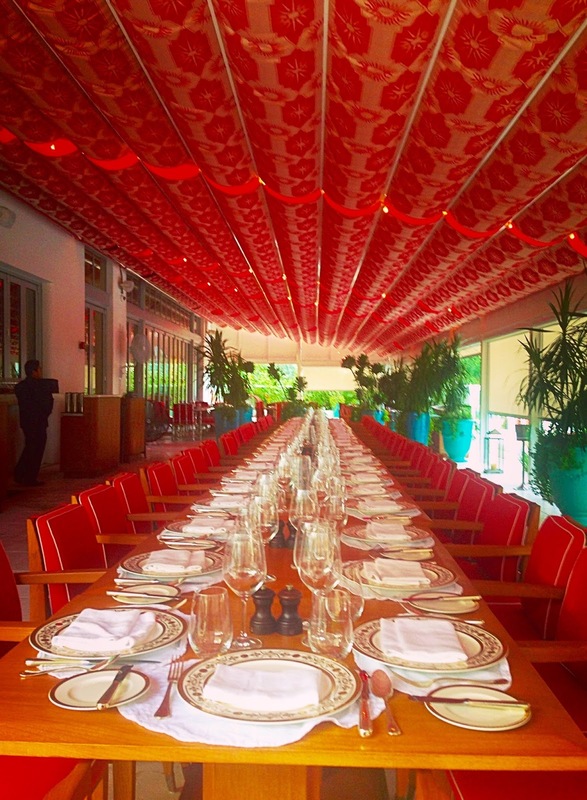 Yes, we were back at the Faena Hotel where chef Paul Qui and his team at Pao delivered an excellent meal for Cobaya 63. 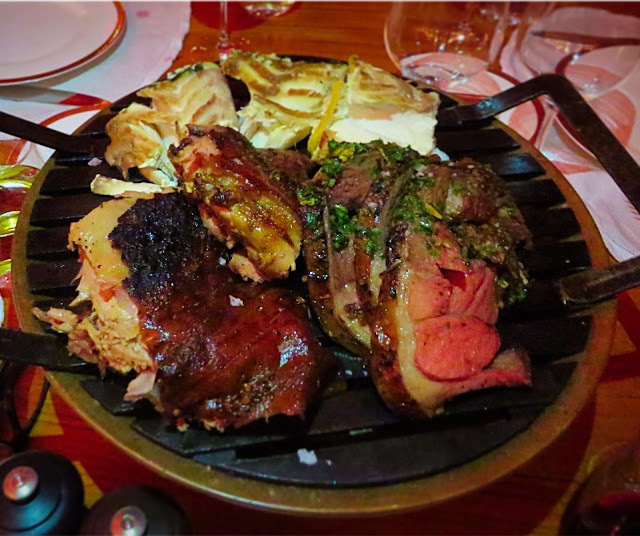 This time the guinea pigs got to experience and enjoy the legendary open-fire cooking skills of chef Francis Mallmann at Los Fuegos. Watching him stoke the wood fire throughout the night was a wonderful site. And tasting the results made it a very special night. For those unfamiliar with Chef Mallmann, I highly recommend watching his episode of Chef Table on Netflix. He hails from Patagonia, Argentina and is renown for his open fire and cast iron cooking techniques. However, he was also classically trained in traditional French cuisine at Michelin starred restaurants and spent twenty years cooking that way. A powerful combination. I was surprised and thrilled that a chef of his stature would even consider participating in an underground and experimental dinner like Cobaya. But he is the real deal. A talented chef who is passionate about food and clearly appreciates its power to bring people together. 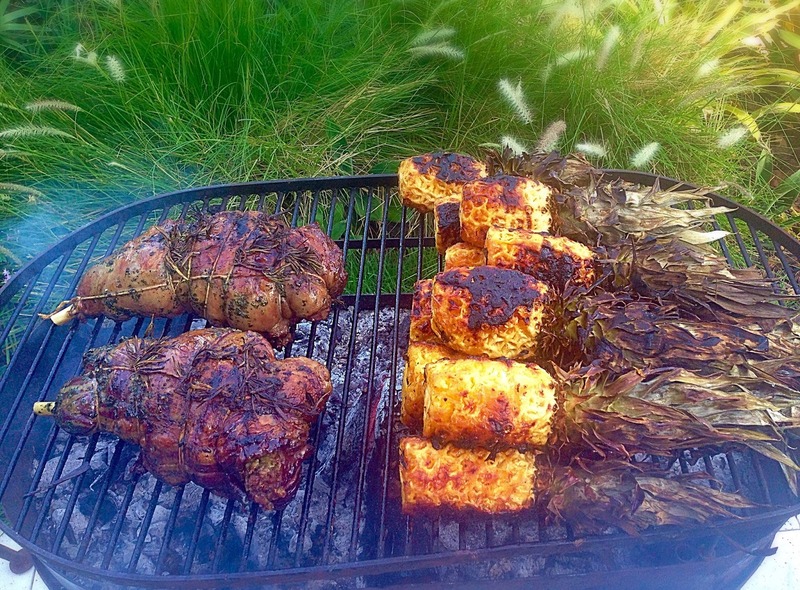 For me, the love of food and power to unite is really what Cobaya is all about. We encourage chefs to stray away from their regular menu for Cobaya dinners so we didn't get to enjoy his off the chart empanadas. But he thankfully started the night with his sensational sweetbreads. A smoked scallop crudo was another great bite. 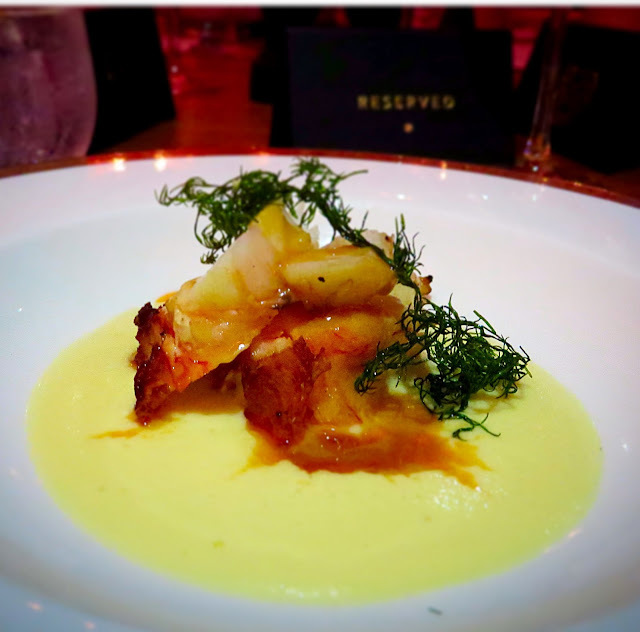 Course one featured a creamy parsnip soup paired with lobster a la plancha. 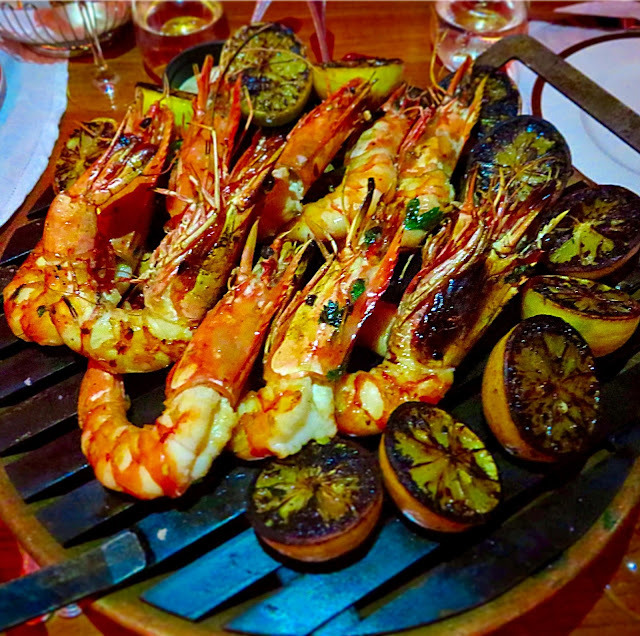 Course two was another highlight of the night and an impressive sight as the large head on prawns were presented a la parilla. The main course was a knockout punch of lechon, lamb and fish. Each was perfectly cooked and seasoned. No enhancements were needed but their pairings were just right. 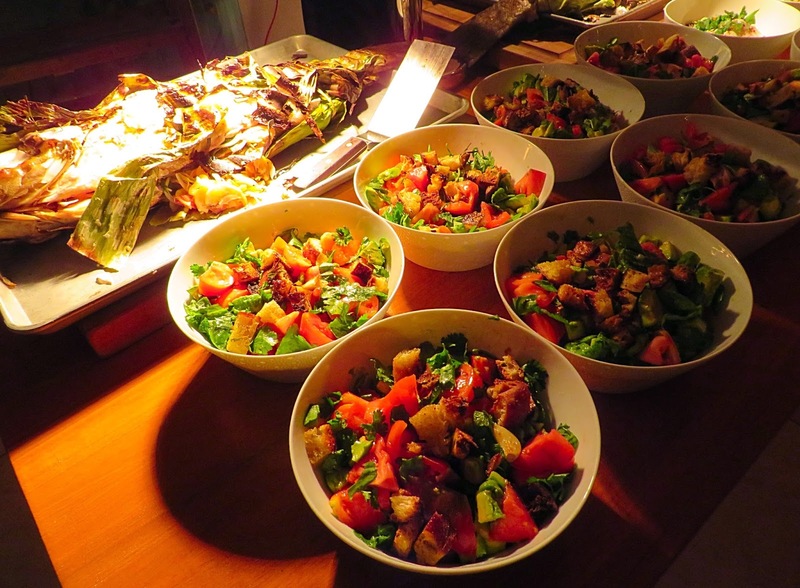 Sides included a light and refreshing tomato and bread salad, Patagonian potatoes with purple onions and a quinoa Salad. 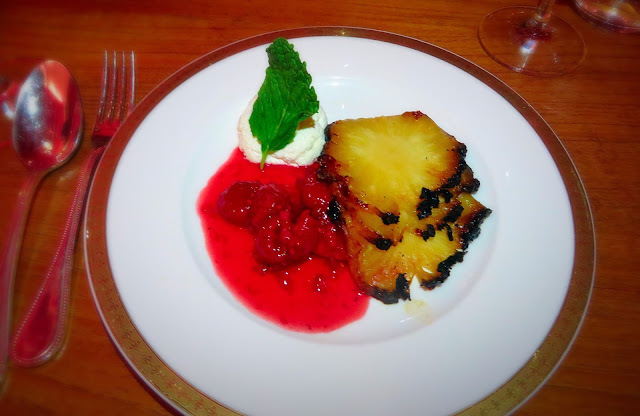 Dessert spent six hours over the flames resulting in juicy pineapples on steroids. This was an enjoyable night. Big thanks to Chef Mallmann and his entire team at Los Fuegos. Special thanks to Zach Gossard, Beverage Director at the Faena for another perfect wine pairing. It should be noted that this is Zach's fourth Cobaya. Welcome to the Hall of Fame. And thank you to the Guinea Pig Nation for your continued interest and support. 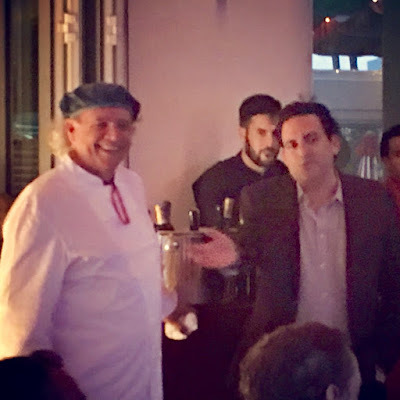 I ran into Chef Mallman a couple of days after the dinner and the first words out of his mouth were "Did everyone enjoy themselves?" THAT!!!!!!!!!!!!!!!!!! Calm before the guinea pig storm. Great setting on the Los Fuegos terrace. 50 guinea pigs at one table was a Cobaya first. Goodnight to a great night.